I like cute. Babies of all kinds, pictures, things, whatever. If it’s cute – I’m sold. And I am not alone it’s sort of a built in nurturing aspect of living and growing. I saw something on TV once that reported even dinosaur babies were cute to stimulate the parent(s) to care for their young. 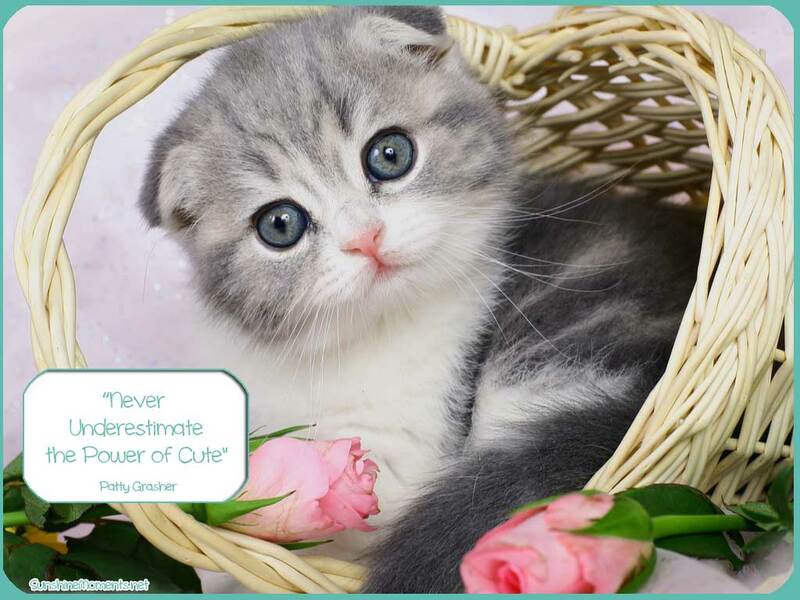 So you see for millions of years the “cute factor” has been a very strong element to growing up. Now I have no idea what eternity will be like – none whatsoever – but I’m seriously thinking there will be a strong emphasis on cute. Just gotta be. 1. Buddy (cat) was gone all day yesterday but when we came home after going to a granddaughter’s gymnastic class there was Buddy sitting on a lawn chair. 2. Pizza for dinner! Going out to celebrate a birthday dinner (not mine) and it’s Pizza time! 3. More books to read after a quick trip to the library.